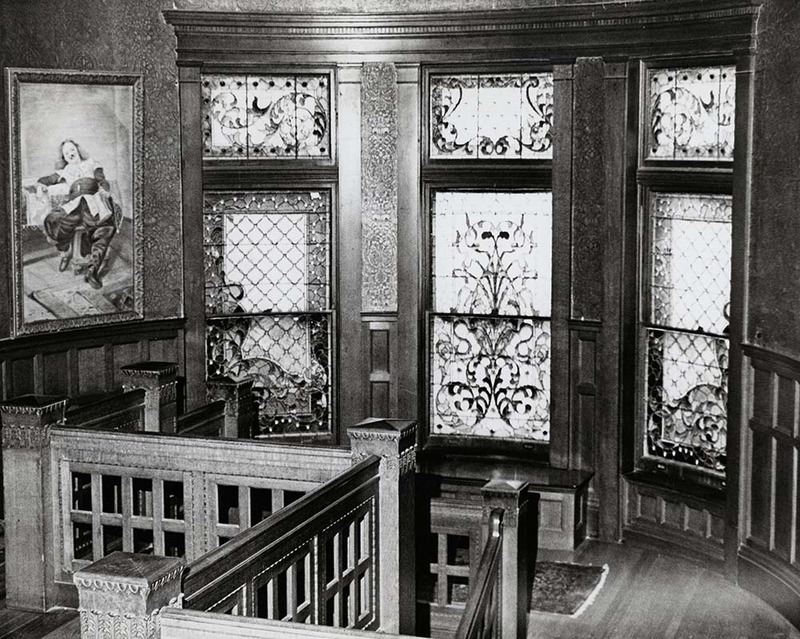 The stained glass windows at the top of the stairs on the second floor compose one of the most unique elements of the house. Protected by clear glass windows, they are somewhat hidden from view from the exterior of the home. However, on sunny days the multicolored glass illuminates the first and second floors with colored light.